The Longmen Caves (or Longmen Grottoes) stretch for 1km along the west bank of the Yi River near Luoyang in Henan Province. The site includes some 1,350 caves and 40 pagodas, which are filled with thousands of Buddhist statues carved out of the hard limestone cliffs. The carving work began in 492 AD and continued for 500 years. The Longmen Caves were designated a World Heritage Site in 2000 for their spectacular works of Chinese art, especially of the Tang Dynasty. The carvings of the Longmen Caves were commissioned by emperors, members of the imperial family and other wealthy families, generals, and religious groups, all who hoped to earn good fortune through their donations. The site was "founded" by the Northern Wei dynasty in 492 AD, when they moved their capital to Luoyang from Datong (where they had carved the Yungang Caves). Three sets of caves - Guyang, Bingyang and Lianhua - date from this early period. Their art was similar to that at Datong but was adapted to the harder limestone surface of the Longmen Caves. Work continued under various patrons for 500 years and reached a second peak under the Tang, particularly under the devoted Buddhist Empress Wu Zetian. The caves have suffered from significant vandalism and looting over the years, beginning with the anti-Buddhist movement of the 9th century. Destruction continued at the hands of souvenir-hunting Westerners in the 19th and 20th centuries, and culminated in attacks by Red Guards during the Cultural Revolution. The Longmen Caves include an astonishing 1350 caves, 750 niches and 40 pagodas, which together contain some 110,000 sculptures. A clear progression in style can be seen over the half-millennium represented in the caves. 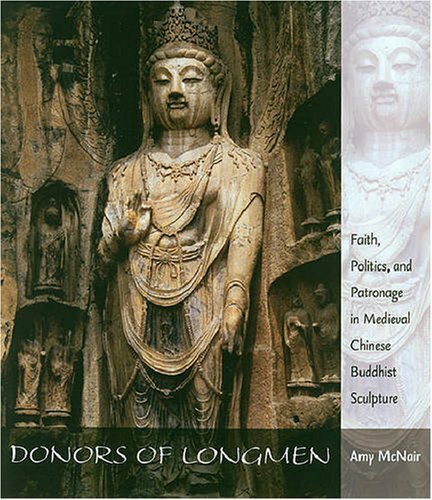 The early caves have simple, rounded, formally modelled statues of Buddhist holy men, while those from the Tang dynasty are more complex and incorporate women and court figures as well. The caves been beautifully renovated and have English labelling throughout. They stretch for 1km along the west bank of the Yi River; entrance is at the northern end and moves south. The following summary is given in this order and includes the largest and most important carvings. The three Bingyang caves are among the earliest, carved by the Northern Wei in the Datong style. The middle Bingyang cave was commissioned by Emperor Xuan Wu to honor his parents and is said to have taken 800,000 men working from 500 to 523 AD to complete. The 11 statues of the Buddha show northern characteristics (long features, thin faces, fishtail robes) and traces of Greek influence. The side caves, completed under the Tang, are more natural and voluptuous in style. Wanfo or Wan Fo Dong (Cave of Ten Thousand Buddhas), just south, was built in 680 by Gao Zong and his empress Wu Zetian. It has 15,000 Buddhas carved in tiny niches, each one different. The smallest is just 2cm high. Another early cave is Lianhua (Lotus Flower Cave), dating from 527 and named for the beautifully carved lotus decorating its roof. Fengxian or Feng Xian Si (Ancestor Worshipping Cave), carved between 672 and 675 for Empress Wu Zetian, is the largest and most splendid of all the caves and considered the culmination of Tang carving. The monumental shrine has a square plan measuring about 30m (100 feet) on each side. It centers on a majestic seated figure of Vairocana Buddha on the back wall, 17m (56ft) high with 2m-long ears. On his left, a Bodhisattva wears a crown and pearls and a divine general treads an evil spirit underfoot. Inscriptions in the Medical Prescription Cave, dating from 575, detail hundreds of cures for everything from madness to the common cold. Some of the prescriptions are still used today. Further on is Guyang, the oldest cave at Longmen, begun in 495. It still has some traces of the paint that originally gave life to the carvings. There is a central Buddha and three tiers of niches on the northern and southern walls, which contain hundreds of statues. Most of the statues are engraved with the names of the artists, the dates and the reasons for carving them. There are also nineteen of the "Twenty Pieces," important examples of ancient calligraphy. From the end of the west bank, a bridge leads to the east bank for a fine view of the caves. Up the hill is the Tomb of Bai Juyi, the famous Tang poet, who spent his last years in Luoyang as the Retired Scholar of the Fragrant Hill. Below is a location map and aerial view of the Longmen Caves. Using the buttons on the left (or the wheel on your mouse), you can zoom in for a closer look, or zoom out to get your bearings. To move around, click and drag the map with your mouse.